Yumi is situated on top of Munchtown. Since it looks hidden, it gives you the impression that it's quite cramped, but it's actually quite spacious. 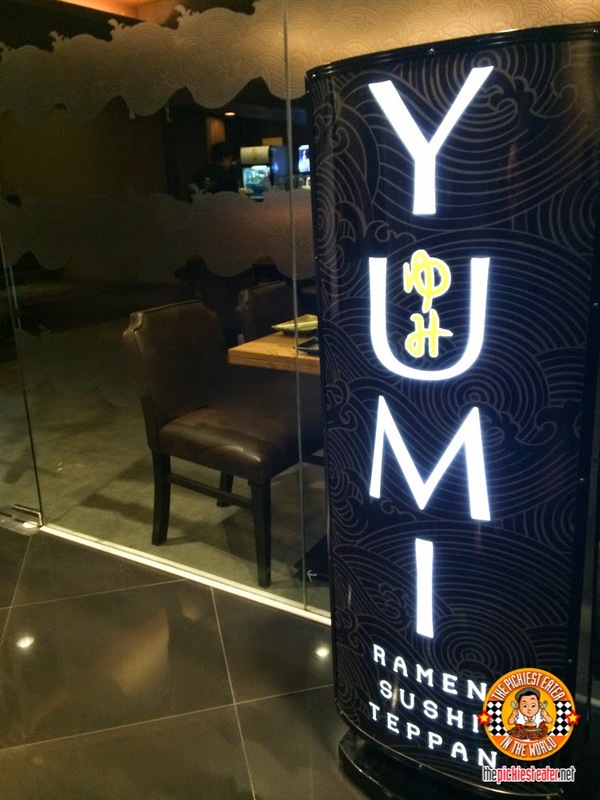 From the elevator, of the Promenade building, just hit the button that says "Yumi". It's actually the Mezzanine floor. With the dim lighting and low-ceiling, Yumi has a bit of a Zen vibe. It's got dim lighting that gives a sort of intimate vibe. Yumi serves these complementary starters which I'm not really sure what it's called. But they're a mixture of some spring onions, kani, mangoes, and then all held together with sweet Japanese mayo. It's simple, light, and refreshing. Next, we tried this Unagi Foie Gras Sushi (P350). It tastes as delicious as it looks. It's Japanese freshwater eel topped with foie gras. 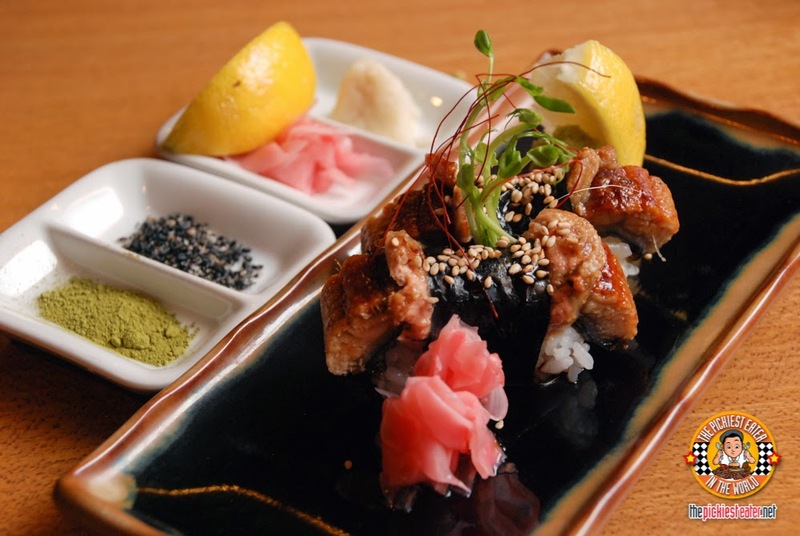 Unagi and foie gras in one dish. Classy and yummy! It's the first time I tasted... or perhaps even heard of the term Chirashi. I had tot look it up to find out that "chirashi" means "scattered". 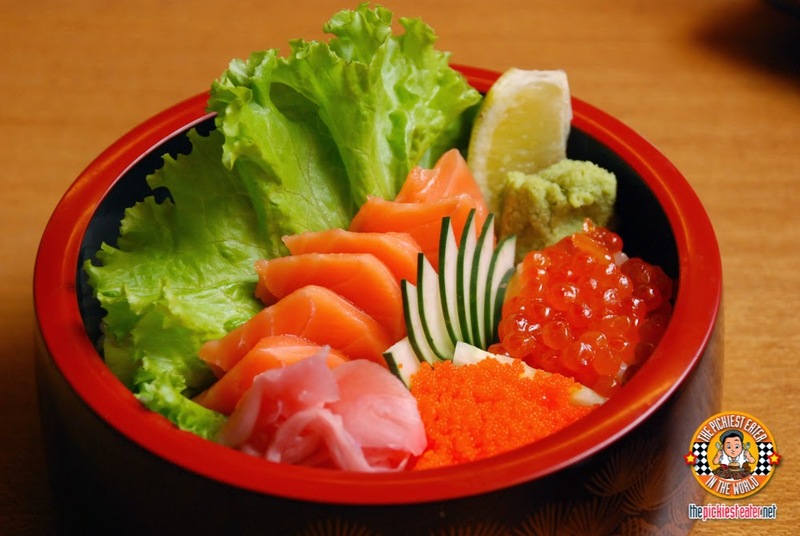 So quite literally, a chirashi bowl is a bowl of rice with scattered ingredients like vegetables, fish, and other things you might want to add. 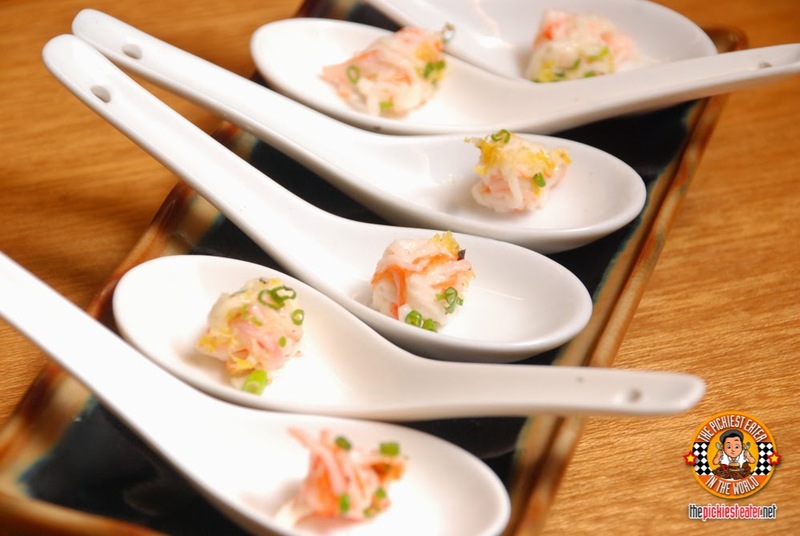 It's a good dish to eat if you're caving for some type of sushi and at the same time you're feeling really hungry! 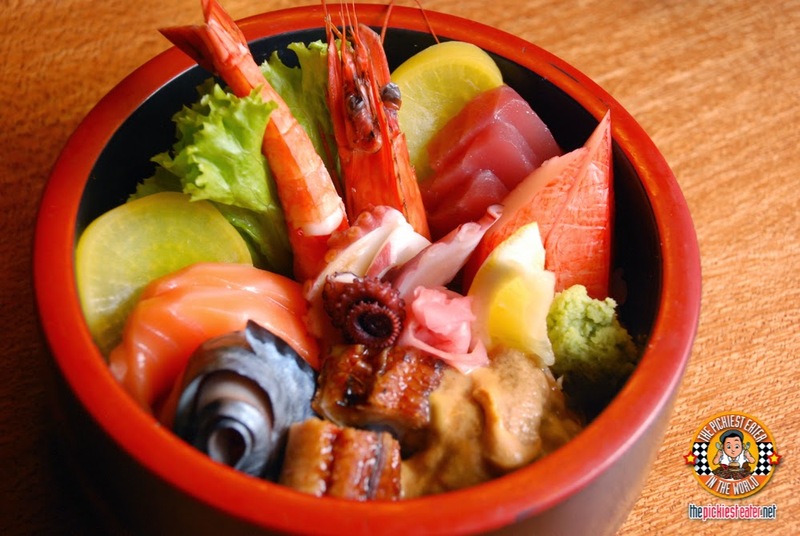 The Chirashi Moriawase (P490) is a bowl of rice topped with scattered salmon, tuna, mackerel, freshwater eel, sea urchin, shrimp, octupus, and egg. 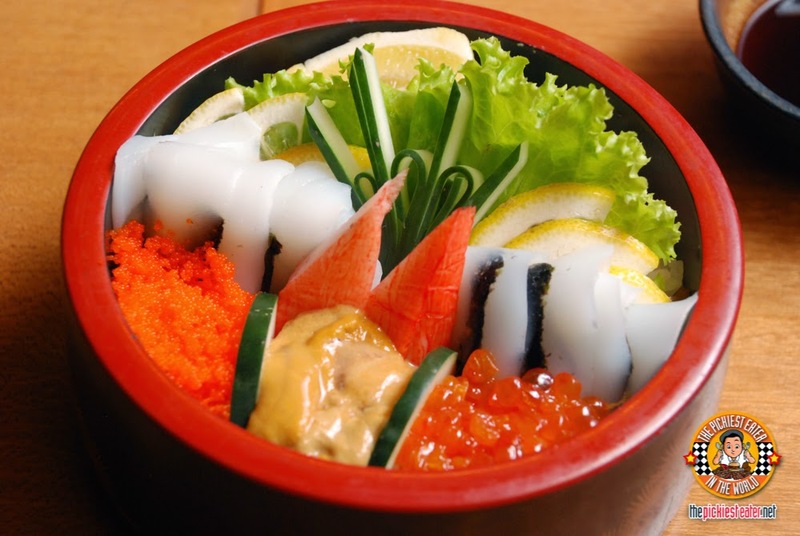 The Chirashi Ikura Tokuji (P470) has salmon roe, sea urchin, shrimp, crab stick, egg, and squid. The Chirashi Ikura Sake (P450) has salmon roe, salmon, shrimp, crab stick, and egg, on top some rice. The Yumi's Chirashi Tekka (P 390) was my favorite chirashi. 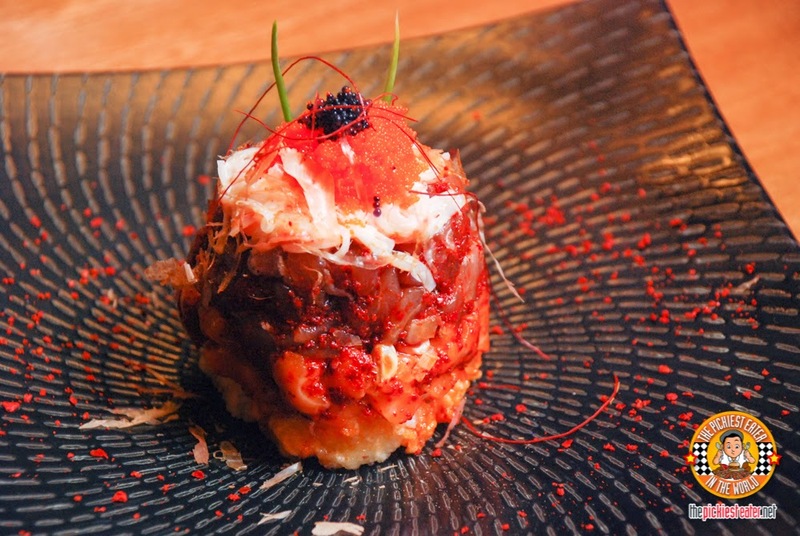 It's basically all tuna, with quail egg, oborro (a mixture made of ground white-flesh fish, sugar, salmon, and a little red food coloring) , and kampyo (dried shavings of calabash), on top of rice. 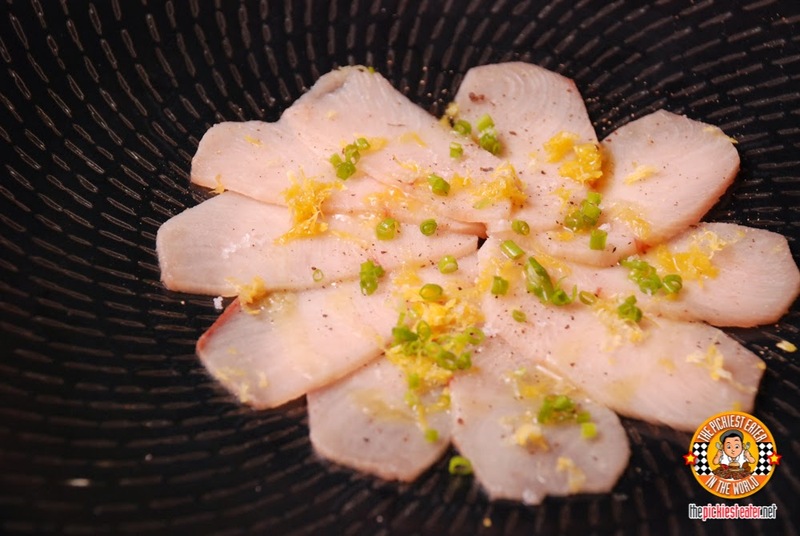 The Hamachi. 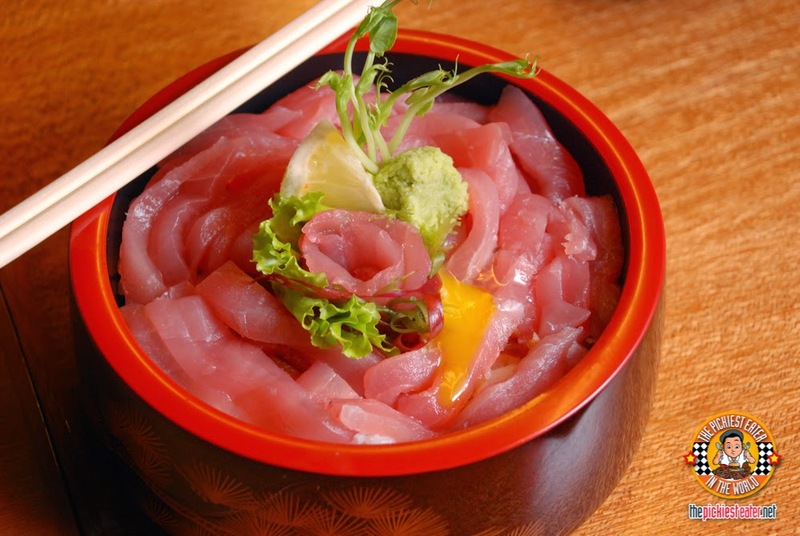 A Pacific Yellowtail fish sushi. Symphony (P380) fried Sushi Rice with layers of spicy tuna, spicy salmon, and crab sticks. I'm not really a fan of cold noodles. The thought of it doesn't really excite me. But I tried this one anyway and turns out I really like it! 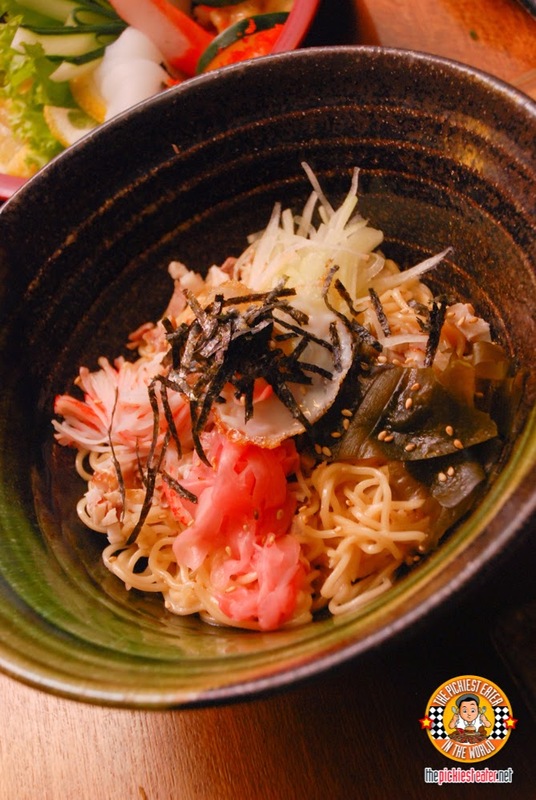 The Hiyashi Chuka Ramen P275 has crab sticks, pickled ginger, egg, nori, and then mixed with sesame dressing and dusted with a bit of sesame seeds, on top of cold noodles. It works! The sesame dressing did it for me. 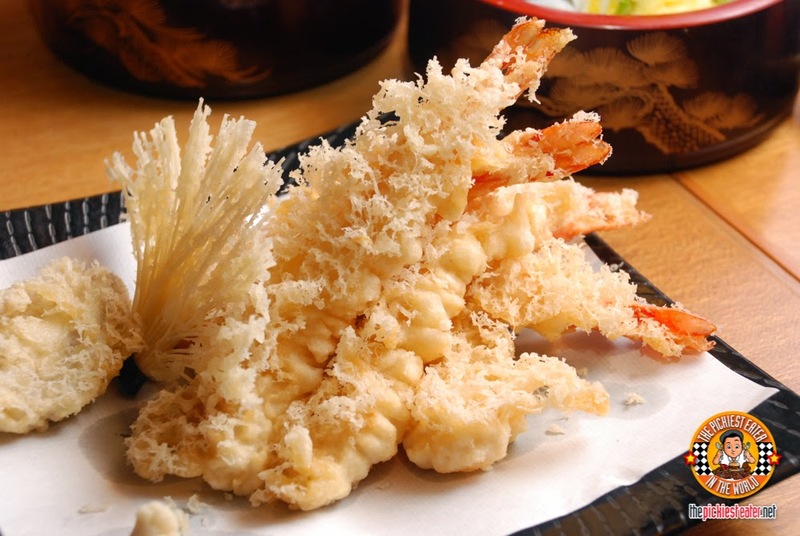 Tempura Moriawase Gold Silver (P450) has shrimp,crab sticks, sweet potato, eggplant, green tea salt, and volcanic salt. 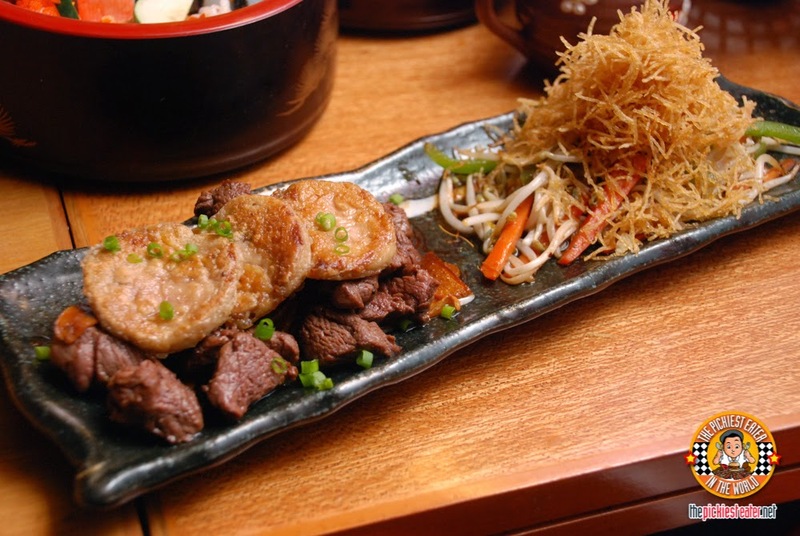 And last but not the least on this blog post is the Teppan Grilled U.S. Tenderloin with Foie Gras (P775). It's got top grade U.S. tenderloin beef, served with premium foie gras. It is very delicious, albeit pricey. It's something you might not want to share hahaha! 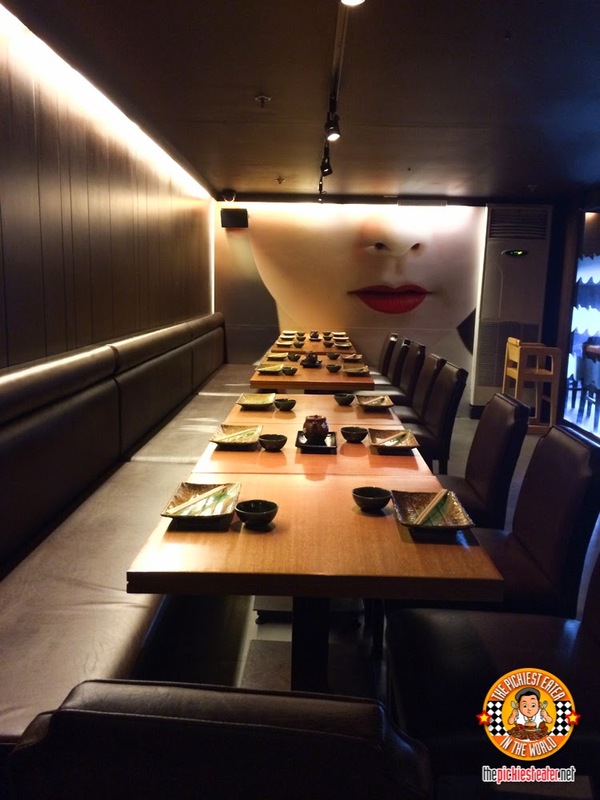 Yumi Japanese Restaurant is definitely a must-try Asian fusion Japanese sushi bar! For more updates, follow Yumi on Facebook! Greenhills Shopping Center, Ortigas Ave.